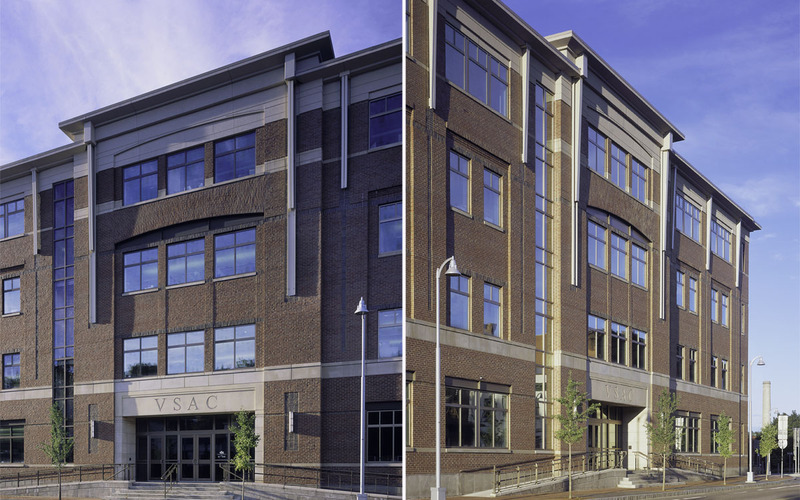 The VSAC office building is located in the historic downtown center of Winooski, Vermont, and was the first phase of the ambitious downtown revitalization project spearheaded by the Winooski Community Development Corporation. The 110,000 sq.ft. four-level building fits within its surroundings, complementing the major historic buildings in the area, the Winooski Block and the Champlain Mill. 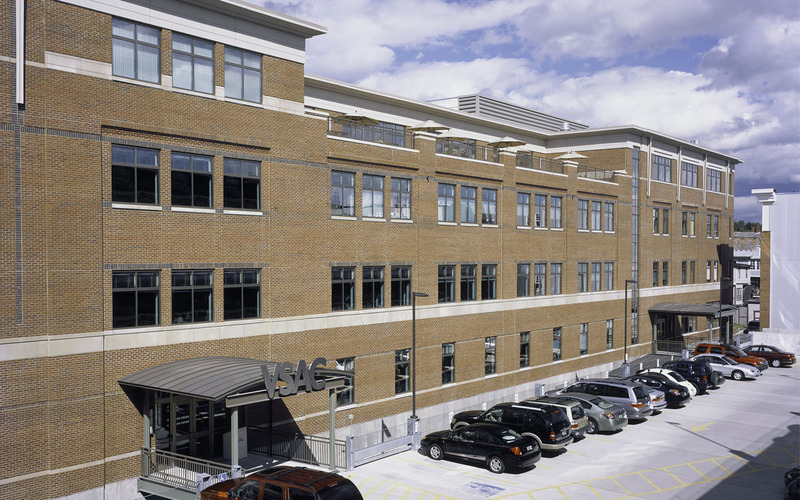 At the street level, public-oriented spaces, high-quality durable materials, and attention to quality craftsmanship enhances the pedestrian experience. Within strict budgetary constraints, green design features were incorporated to maximize employee comfort and reduce energy costs.